A mystical messenger of melody and higher consciousness, Jeffrey Brian Liebowitz a.k.a. Jeffrey Brian is a profound singer/songwriter whose sound was cleverly described by one Rolling Stone music critic as Bob Dylan meets Kurt Cobain. Jeff has simultaneously paired the rise of The Jesus Twins with an inspiring career as a Singer/Songwriter. He released a CD called “Karma” which Amazon.com called “riveting” and “a must own”. A deeply moving song he wrote entitled “Let Go & Let God” about his identical twin brother’s struggle with Bipolar Disorder became a finalist in the John Lennon Songwriting Contest. This spring, Jeffrey Brian, will go into the recording studio with Craig Adams of Winslow Court Studios to complete his album, Say it Better. Craig has worked with everybody from session legends Bob Glaub (John Lennon) and Don Heffington (Bob Dylan) to Geoff Emerick (Paul McCartney) and Jack Tempchin (The Eagles). World class musicians such as drummer JJ Johnson ( John Mayer), musical director James Polk (Ray Charles) and guitarist Van Wilks (ZZ Top) are playing on the new record. The master tracks for Say it Better were recorded at David Boyle’s Church House Studios and Mark Hallman’s Congress House Studios in Austin. David has recorded everyone from Robert Plant and Eddie Vedder to Edie Brickell and Justin Timberlake while Mark is known as a true legend in Austin having worked with everyone from Ani DiFranco and Carole King to Blues Traveler. Since his twin’s brother death, much to the surprise of many, their audience continues to expand. A full-length documentary about Jeff and his late twin brother, Eric a.k.a Zack Havoc entitled, Jeffrey Brian and the Ghost of Zack Havoc, is currently in production in Los Angeles. Jeffrey has also published his twin brother’s memoirs and is set to release the first of two books in 2018, The Electric Dreams of Jeffrey Brian Liebowitz and A Hint from Heaven. Scroll down to see the Biographies of some of the many talented musicians who have performed and/or recorded with Jeffrey Brian Liebowitz and his band, The Jesus Twins. Often referred to as “Austin’s most Notorious drummer, JJ is Highly respected and sought-after after. This native of Texas played on John Mayer’s mega-selling “Heavier Things” and has been Mayer’s touring drummer for the past few years. This past winter, JJ Johnson played drums on all 15 tracks of Jeffrey Brian Liebowitz’s upcoming studio release “Say it Better”. His style is a combination of r&b influenced groove and heavy rock backbeat. 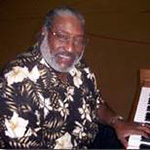 He has been part of many very cool line ups, including his own band The J. J. Johnson Trio, Hot Buttered Rhythm (in conjunction with Brannen Temple). He has played with the likes of the Sexton Brother’s (Charlie & Will). 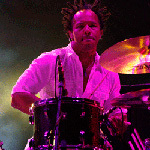 In September 2001, JJ toured with Doyle Bramhall. 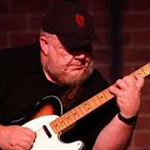 Born 1958, Redd was a successor to Roy Nichols in Merle Haggard’s backing band, and is “among the country’s top Telecaster guitar slingers.”. 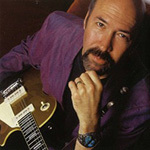 Volkaert won a 2009 Grammy for Best Country Instrumental Performance. Coming from Nashville, he’s been playing in clubs in Austin, TX for the last dozen years with his own little band and some others, doing some recording and TV work as well. He periodicly flies to Nashville to record and doing some guitar clinics. Polk’s own musical story and involvement in the Austin jazz scene spans almost 40 years. He arrived from Corpus Christi in 1958 to study music at Houston-Tillotson College. During his early years here, he played with the likes of former HT alumus/trumpeter Bobby Bradford (Carmen’s father), and Bastrop schoolteacher/saxman Dewey Redman (Joshua’s father) before both men went on to play with Texas legend Ornette Coleman in the Seventies. One day back in 1978 Polk received a phone call he’ll never forget. “Brother Polk?” the familiar voice on the other end asked, “This is Brother Ray. They tell me you’re a hot-shot piano player. We have this position open; would you be interested in playing?” Two weeks later Polk joined Ray Charles and his Orchestra in Valley Forge, Pennsylvania for what would become a 10-year relationship as writer and arranger. “I played with Ray for eight years, and another couple of years I worked with him in the studio recording and doing arrangements and albums,” Polk explains. In addition to playing organ on Jeffrey Brian Liebowitz’s upcoming release Say it Better, he also appears on two Austin releases, Live at the Elephant Room and Elias Haslanger’s Standards. In Austin, Texas, a city known for it’s great guitarists Van Wilks has long been lauded as one of the city’s master players. His talents as a guitarist and band leader have won him consistent critical praise and a string of honors that was capped when he was voted by Austin music fans into the Austin Chronicle’s “Texas Music Hall of Fame” alongside the state’s most legendary musical talents. 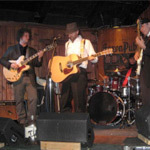 Declared “a perfect cross between Jimi Hendrix and Van Halen” by the Austin-American Statesman, Van Wilks has toured nationally and internationally with such acts as ZZ Top and Christopher Cross and in Van’s discography is the rare duet with Eric Johnson of the classic “What Child Is This”, available on the Texas Christmas Collection cd. You can hear Van Wilks on Jeffrey’s soon-to-be released record, “Say it Better”. As a member of alternative rock band Splender (1998-2003), Marc honed his drumming chops both in the studio and through heavy touring with bands such as Third Eye Blind, the Goo Goo Dolls, and Vertical Horizon. 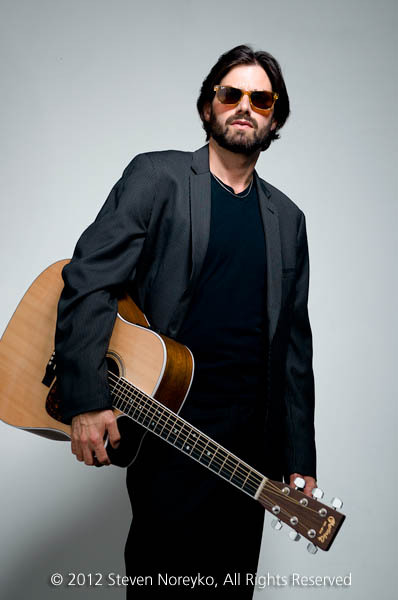 Marc recorded two albums with Splender; 1999’s “Halfway Down the Sky” (Columbia Records) produced by Todd Rundgren, and “To Whom it May Concern” on Clive Davis’ J Records in 2001. While in Splender, he also earned the respect and admiration of his drumming peers, receiving write-ups in Modern Drummer magazine. Marc can currently be found behind the drum throne on tour with International recording artist, Hugo (Epic Records/Roc Nation). In addition to Splender, he has also toured or recorded with Kylie Minogue, Alexa Ray Joel, Pink, Gavin DeGraw, among many others. He has appeared extensively on TV including shows such as X-Factor, The View, Good Morning America, Queen Latifah Show, The Tonight Show with Jay Leno, Last Call with Carson Daily, Late Show with David Letterman and Jimmy Kimmel Live. Major is a singer-guitarist-songwriter with roots in the Mississippi Delta. With a degree in music and six dollars in his pocket, Major left Shelby, Mississippi for Los Angeles. 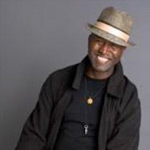 He soon landed gigs with the Ink Spots and has toured with UK artist Hazel O’Connor as well as Rose Royce and Marilyn McCoo & Billy Davis, Jr. Unlike many musicians, he has always sought his inspiration from a spiritual source rather than a drugstore and with the guitar as his primary instrument has walked an enlightened path. A member of the Bhakti yoga discipline for over twenty years, Major has refined his music by learning new instruments, getting to know his creator on a personal level, and developing a life philosophy that speaks to us through his music. Having played with the Rose Royce and The Yellow Jackets. 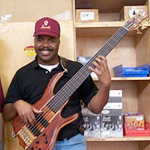 KC Hunter is an accomplished master and true technician at his instrument. He came down to the original Jesus Twins audition and impressed Eric of The Jesus Twins so much that he instantly made him their bass player. You can hear KC Hunter on The Jesus Twins, 2003 single, Peace is the Word. Mark Harris is a musician driven by the sheer love of the bass. He loves playing in any genre from Jazz to Afro-Cuban to Country, you-name-it. 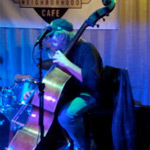 Considered a total musician, he is equally at home on an upright acoustic bass or his custom built 7 string fretted bass as he is on one of his fretless electric bass guitars. 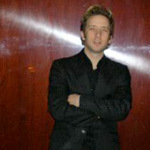 Mark’s technique, finesse and musicality are “pure genius” according to one local music promoter who has followed Mark’s career since the early days in New York. Based in both Austin and Buffalo, Mark is highly regarded and in constant demand for live and studio work. He is also active composing and playing for various projects worldwide. Having played for The Belleville Outfit, Tony Price and Warren Hood and the Hoolums among others, Marshall Hood is as versatile as they come. 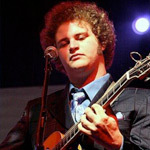 He is also a talented singer/songwriter is his own right fronting his band, Marshall Hood and the Bads. Hear Marshall Hood tear it up live on Jeffrey Brian’s 2011 CD, Live at The Saxon Pub. Chandra Washington is a Writer, Vocalist, Performance Poet, Percussionist, and Dancer. 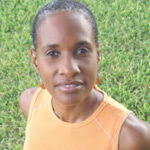 She has performed with numerous professional companies on the east coast as well as in Austin, Texas, including Improvisations Unlimited, KanKouran West African Dance Company, Memory of African Culture, Sweet Honey in the Rock’s vocal workshop “In Process...,” Sun Ra Arkestra, Hamiet Bluiett, and CreOp Muse’s Circle of Light holiday production. As a Writer and Performance Poet, she won a full publishing contract in the 2005 Big Texas Poetry Event competition, and is using the prize to publish a short story for youth titled No Mistake: Journey to Self-Acceptance. 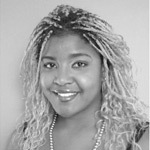 In 2009, her poem was selected for the Austin International Poetry Festival Anthology publication. She is currently Artistic Director of the multi-disciplined performance project, the Healing Caravan. You can see Chandra performing in Jeffrey Brian’s latest DVD. O’Clock Lab Band. With this group, she performed at state and national conferences, jazz festivals, and at the Majestic Theatre in Dallas, TX with renowned jazz vocalist and lyricist, Jon Hendricks. Since college she has recorded with The Women’s Chorus of Dallas and Turtle Creek Chorale, who combined to perform The World Premiere of Sing for the Cure at the Meyerson Symphony Center with Maya Angelou & Mary Wilson (Supremes) benefiting the Susan G. Komen Breast Cancer Foundation. She performed at St. Marks, a famous poetry venue in New York, with Dr. Russell Reed, who composed with her versatile voice in mind. group Celebration, a jazz duo, 18 Karat (www.18karatmusic.com) & the variety band Caboose (www.caboosetheband.com), & recording professionally for recording artist.